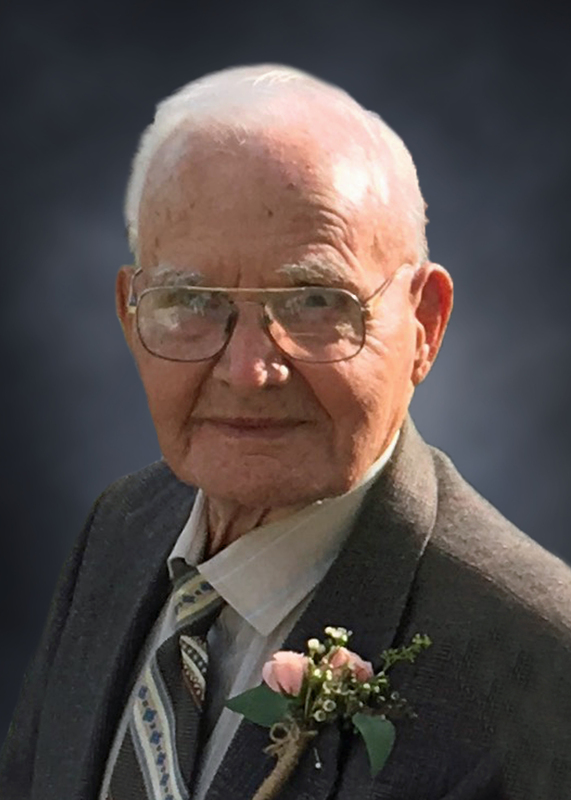 Adrine “Boots” Erickson, 91, of Wolf Point, Montana passed away November 24, 2018 in Wolf Point. He was born September 16, 1927 in Wolf Point to Axel and Lena Erickson. He was raised east of Vida, MT the third of five children. Boots attended Circle High School, graduating in 1944. On June 8, 1948, he married Irene Anderson. To this union was born, Bruce, David, Douglas and Elaine (Long). Boots and Irene lived in Vida for 15 years, where Boots was engaged in farming. In 1962 they moved to Wolf Point. Boots was preceded in death by his parents; brothers Kermit, Marvin, Bob and Ardean Luenberger; his son David and grandson Brad Erickson. He is survived by his wife Irene of Wolf Point; sons Bruce (Tamara) of Fullerton, CA, Douglas (Rosanne) of Wolf Point and daughter Elaine (Jeff) of Wolf Point; 5 grandchildren and 3 great grandchildren. The family invites his family and friends to an open visitation between 1:00 p.m. and 6:00 p.m. on Thursday, November 29, 2018 at the Clayton Stevenson Memorial Chapel in Wolf Point. The funeral will be held at 10:00 a.m. on Friday, November 30, 2018 at the 1st Lutheran Church in Wolf Point. Interment will follow at Greenwood Cemetery. Clayton Stevenson Memorial Chapel has been entrusted with the arrangements and condolences can be left for the family by using the form below. Carol and I pass on our deepest condolences on the loss of your husband and father. Since 1985 it has been a real pleasure and honor to be friends with the Erickson family. Although we will not be able to attend the service we will keep all of you in our thoughts and prayers. I am so saddened to hear of Boots passing. I have so many fond memories of growing up next door to you, which I cherish. I wish I could be there today, but my thoughts and prayers are with you.